TIP: A PLACE WHERE YOU CAN SEARCH FOR OLD ZAGREB CITY PLANS. State Archives Zagreb is primarily an institution for preserving national and local documents. 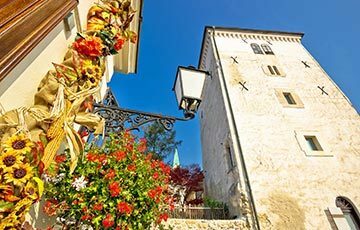 On the other hand, they are located in a beautiful 19-century palace with a courtyard. The palace consists of two buildings. An older two-story Baroque palace and a classical style one-storey facing towards Opatička Street. Together they enclose the courtyard which is an irregular shape. At the State Archives, you have a chance to research old Zagreb city records. In the first place, they are a national archive. Open to the public with both digital and physical access. We have to point out that the courtyard is home to one of the Courtyards event which is held during summer. With every courtyard comes its own story. Guided tours are available but only with the previous announcement. What can you see and do at the State Archives Zagreb? If you are nearby between 8 AM and 4 PM do not miss out and take a peek in the courtyard. It is primarily a place where you can find old achieved city plans and documents. But remember to announce yourself in advance. Do not miss the Courtyards if you are in Zagreb during summer. 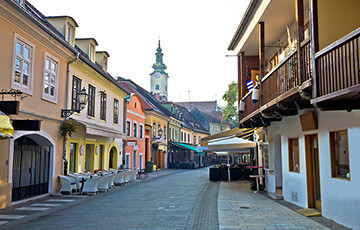 During the Courtyards, you have a chance to experience Zagreb in an unforgettable way. 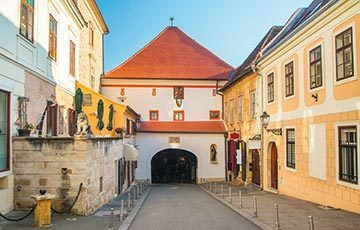 You have a unique opportunity to peek behind the facades of some of the most beautiful Zagreb palaces. Not only will you find a lot of urban entertainment, but also delicious snacks and refreshing drinks. Coupled with superb music, from jazz and classics to pop. 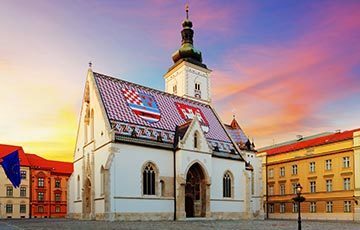 How to get to State Archives Zagreb? From ban Jelačić Square some five minutes walking distance. Head up Radićeva or Mesnička streets or take the funicular from Tomićeva Street. It is across the street of Zagreb City Museum. Only with the previous announcement.